We are offering Glass Connector to our clients. With honest intentions to improve the standing we have earned in this arena, we are offering a distinct collection of Glass To Glass Connector. Stainless Steel Glass Connector are used for varied application in many building, construction industries, shopping malls, residential complex etc. Theses Glass Connectors are available in nickel brushed and chrome plated finish. - Floor / Wall to Glass. 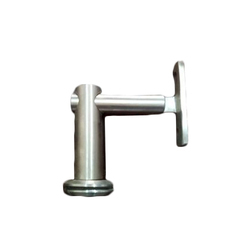 We manufacture an assortment of SS or brass Glass Connector that are available in nickel brushed and chrome plated finish. Using premium quality basic materials and state-of-art techniques of production, we are persistently offering a comprehensive array of Glass Connector in standard as well as customized specifications. Each single product from the offered range is carefully made and checked before its dispatch towards client’s doorstep. 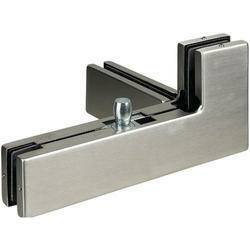 Hardware Concepts India Pvt. Ltd.